Reuters reported late on Friday night that their reporter who broke the story about Democrat Beto O'Rourke belonging to a hacker group had the story for two years and agreed to sit on it until after O'Rourke's Senate race against Sen. Ted Cruz (R-TX). so what about sitting on Trump Stories ? So: Reuters who is all into reporting on Russian Collusion is into collusion themselves. Cult of the Dead Cow released Back Orifice back in the day. Fun tool for a minute. This is some serious cred, regardless of what he did in the group. Imagine having a presidential candidate who actually understands technology. Skateboard Jesus' political stances are alarming enough - I don't need his child killing fantasies and illegal hacker past in order to dislike him. He is an actor playing a part, just like AOC. And most alarming of all is the fawning media insisting that he's a "moderate" although he's never said or done anything indicating that. Nothing "illegal" has been described in any of the news articles I've read about this. What have you read that is "illegal" ? 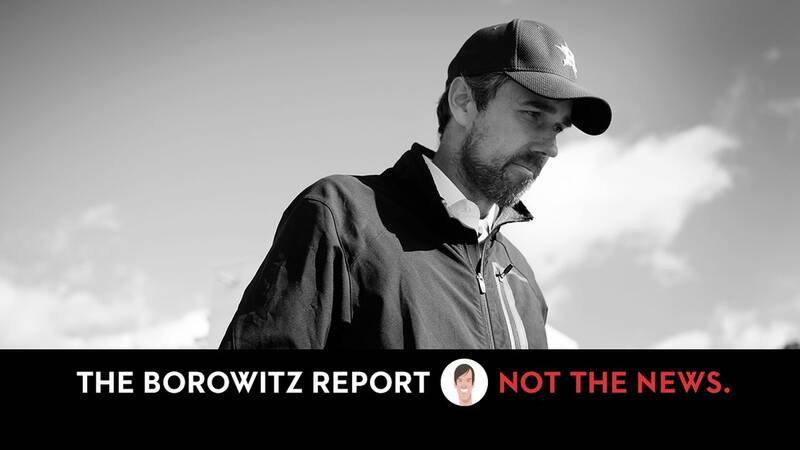 IOWA CITY, IOWA (The Borowitz Report)—The nascent Presidential campaign of Beto O’Rourke took a serious hit on Friday with the leak of a high-school-era mixtape by the candidate that included a song by REO Speedwagon. The mixtape, which prominently featured the song “Keep on Loving You,” sent shockwaves through the O’Rourke campaign, forcing the candidate to address the controversy on the hustings. I guess that's one way to look at it. With this hacking, drinking/DUI, weird fiction, etc., what I'm seeing instead is a pervasive maladaptive behavior pattern of an over-privileged, brat, mentally disturbed (at least, emotionally disturbed), juvenile delinquent. If this is what we already know I'm betting there are far more (and worse) skeletons in the closet. Whether we find out, given this Reuters admission, is another story. I can just see it: #Beto/AOC 2020 or #AOC/Beto 2024. Oh please. If that were a Republican New Yorker magazine would be losing its fool mind and calling for the smelling salts. Only the Hi Infidelity era and after - some of their earlier stuff I liked, like Roll with the Changes and Time for Me to Fly weren't bad. Next we'll find out that Beto is a Journey fan, watch and see. Knew it..He's obviously a Culture Club fan, all edgy and chit back in the day. Ha! Actually, I don't know much about the guy. I just happened to read an article put out by a record label. I surely wouldn't vote for someone over their taste in music... So, no reason to get jealous. I'm still crushing on you!